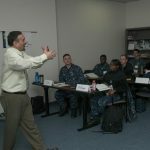 MAY 8, 2017, NORFOLK (NNS) – Fincancial advisors aboard the aircraft carrier USS George Washington (CVN 73) have begun educating Sailors about the new blended retirement system (BRS), set to take effect Jan. 1, 2018. 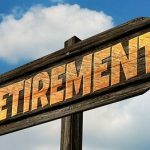 The Department of Defense (DOD) will be retiring the legacy High Three retirement system and rolling out the BRS option. 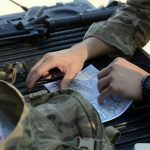 Although it won’t come into effect for several more months, there are plenty of reasons to learn about what it offers and what it could mean for service members. 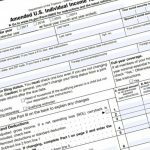 Service members who join the military after Dec. 31, 2017 will automatically be enrolled into the BRS. Service members with less than 12 years of service as of Dec. 31, 2017 (entered the service after Dec. 31, 2005 but before Jan. 1, 2018) will have the choice to either enroll with BRS or remain with the High Three system. 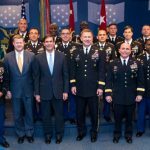 Service members with 12 or more years of service will remain in the High Three system. Eligible service members will have the chance to opt-in from Jan. 1, 2018 to Dec. 31, 2018. 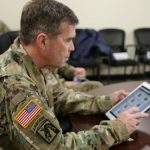 Service members will be given the necessary training and resources to make the decision to either stay with High Three or to go with the BRS. 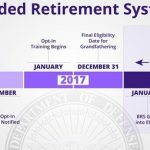 No one joining prior to Jan. 1, 2018 will be automatically enrolled into the BRS and those who choose not to opt-in to BRS during the Jan. 1, 2018 through Dec. 31, 2018 opt-in period will be irrevocably locked into the legacy High Three retirement system. 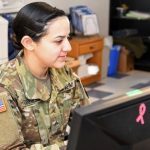 Service members that utilize the Defense Finance and Accounting Service (DFAS) will utilize MyPay to opt in to the new system. Most service members (about 81 percent) do not make it to the 20-year mark and leave the military with no retirement benefits. 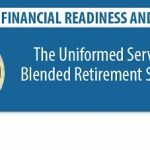 Under the BRS, about 85 percent of service members will receive a retirement benefit even if they don’t qualify for full retirement. 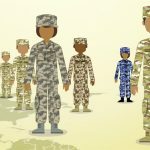 The DOD will automatically contribute one percent of a service member’s base pay to their Thrift Savings Plan (TSP) after 60 days of service. After the completion of two years of service, the service member is vested and the money belongs to them. If they decide to not re-enlist, the money goes with them. 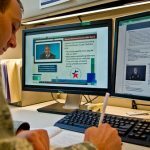 Service members that opt in to the BRS will begin receiving automatic and matching applicable government contributions effective the first pay period after the opt-in, but it is important for service members to fully understand the new BRS and to take their time to make an informed decision. 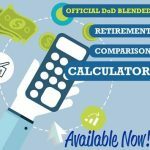 For more information about the Blended Retirement System, visit militarypay.defense.gov/BlendedRetirement or see a command counselor or financial specialist.